Five years ago, many governments panicked with Japan following the nuclear disaster that struck Fukushima. The risk of contamination made the world reconsider the safety of nuclear power plants, opening the way to the development of safer sustainable alternatives. Over the past five years, most European countries have come up with programs to reduce nuclear power production. Some, like Italy, even completely stopped their atomic production and shut down all their nuclear reactors. Among European countries, France is by far the biggest producer of nuclear energy, totaling over 48% of the European production, with its 58 reactors. Germany, which follows France with 9 reactors, has opted for a quick phasing-out of nuclear dependency, with a plan to shut down all of its reactors by 2022. Even though nuclear energy falls within the scope of Member States’ sovereign powers, the pressure has risen from green parties for every country to phase out, even more so after thousands of cracks were detected on two Belgian reactors, forcing them to be temporarily shutdown. Belgium and France were considering phasing out their nuclear plants but plans to reopen some of them are now being debated, despite energy transition laws in both countries. Out of Belgium’s seven reactors (between two plants) that were commissioned for thirty years, two of them were given the green light for ten more years of activity, for the second time in a row. Similarly, the French minister of ecology, sustainable development and energy, Ségolène Royal, has come out in support of extending to fifty years the forty-year age-limit of the country’s reactors. All in all, half of European countries still resort to nuclear reactors for their electricity production, 131 of which are in activity today. The fact that Poland and Italy, two densely populated countries, do not generate any nuclear power shows that a country’s population density and its dependence on nuclear energy are unrelated. 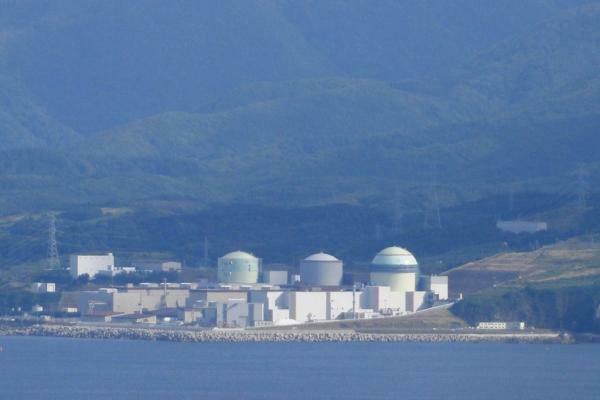 Nuclear security is even more worrisome in Taiwan, given its geological position. Taiwan is prone to volcanic and seismic activity, tsunamis, and landslides. Besides, none of the three plants that are in operation in Taiwan are hooked in to the grids of any other countries, which is not the case in Europe. After phasing out of nuclear energy, Taiwan can continue to rely on its high efficiency coal and gas-fired plants, and continue developing its green energy technology. Since our founding in 2003, Wild at Heart has been advocating against nuclear power. On 12 March 2016, five years after the events of Fukushima, Wild at Heart marched for a nuclear-free country and to underline, once again, the urgent need to shutdown plants 1, 2 and 3, to abandon the construction of the Lungmen plant and to deal with nuclear waste appropriately.